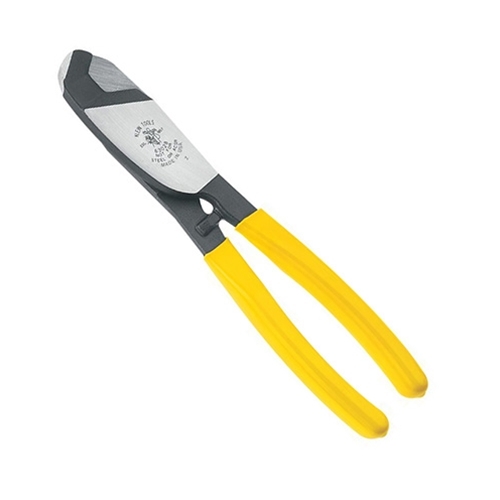 Home → Lineman Tools → Hand Tools → Klein Coax Cutter 3/4"
Designed to cut copper and aluminum coaxial cables up to 3/4”, Klein uses the highest quality forged steel in a hot riveted design that eliminates the need for adjustment. The captive jaw design keeps the coax from slipping out as the jaws close. Use a back and forth method to score the outer jacket, this will allow the jaws to shear the inner conductors without deformation.